Mark may be small, but he certainly packs a punch. 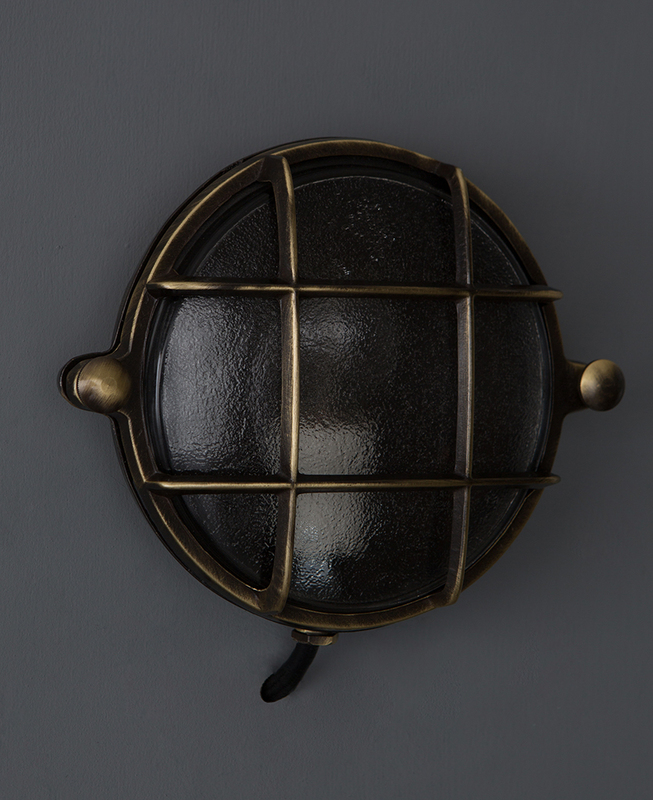 This petite bulkhead light is authentically nautical and is the perfect size for more compact interiors, or for showing off in a series across a wall. 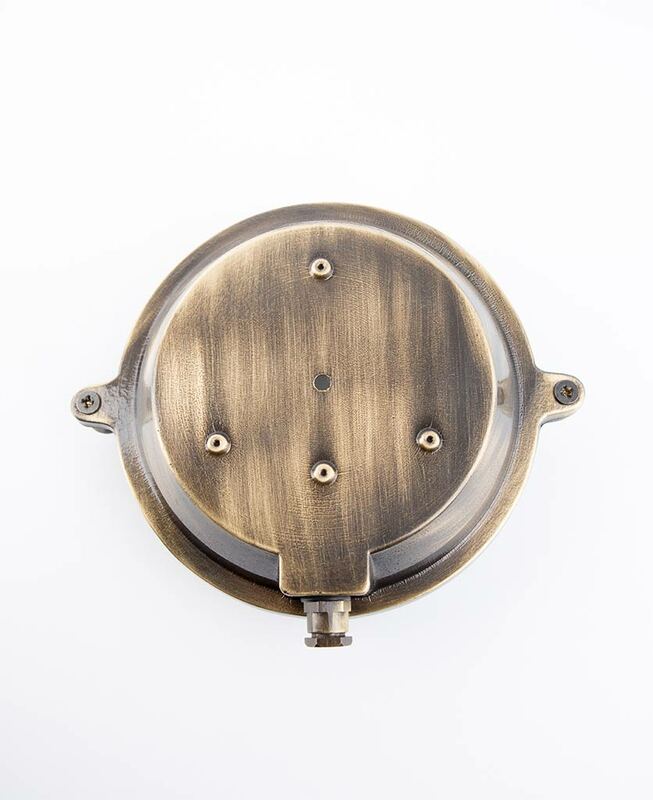 Made from solid brass (in various finishes), with a protective cage and frosted glass, this wall light complements a minimalist industrial interior perfectly. We love Mark as a feature light in a hallway. Position in a row upon sleek white walls for a strikingly contrasting finish to create a subtle nautical inspired design. 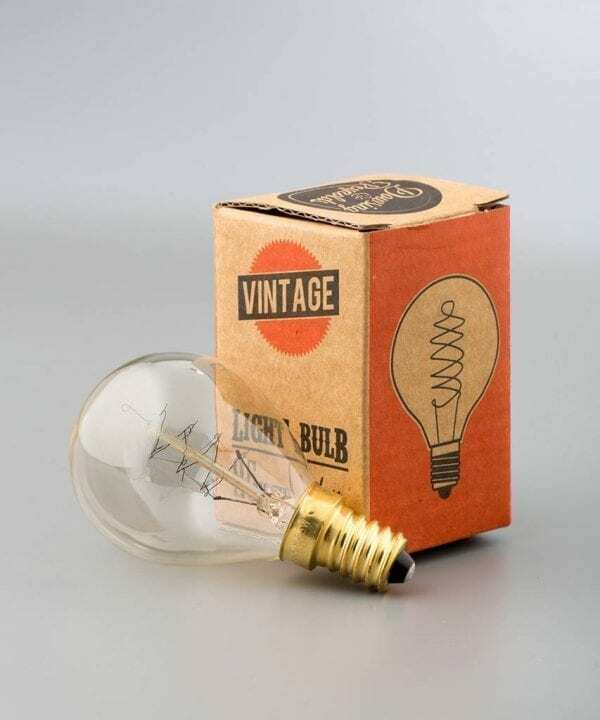 Alternatively, use as industrial bathroom lighting to really accentuate the nautical vibe. Mark is almost reminiscent of retro portholes, he’s inherently industrial without being too polished. Stunning. 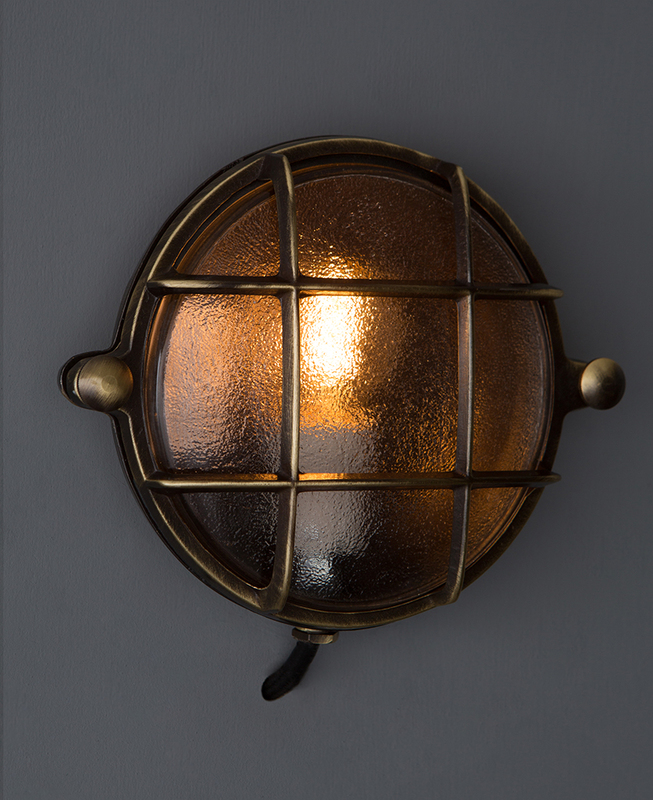 Our circular bulkhead lights are ideal for introducing a subtle nautical theme into your home. 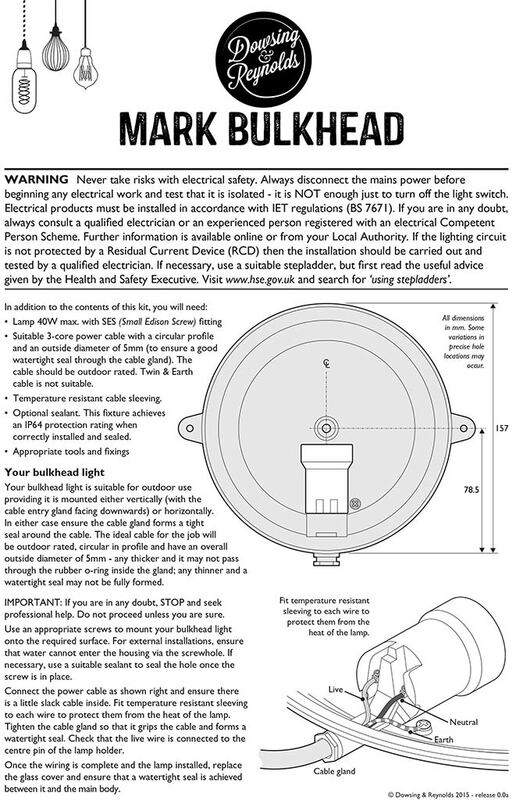 Originally created for use in the shipping industry, this Mark bulkhead light has an authentically rugged design. 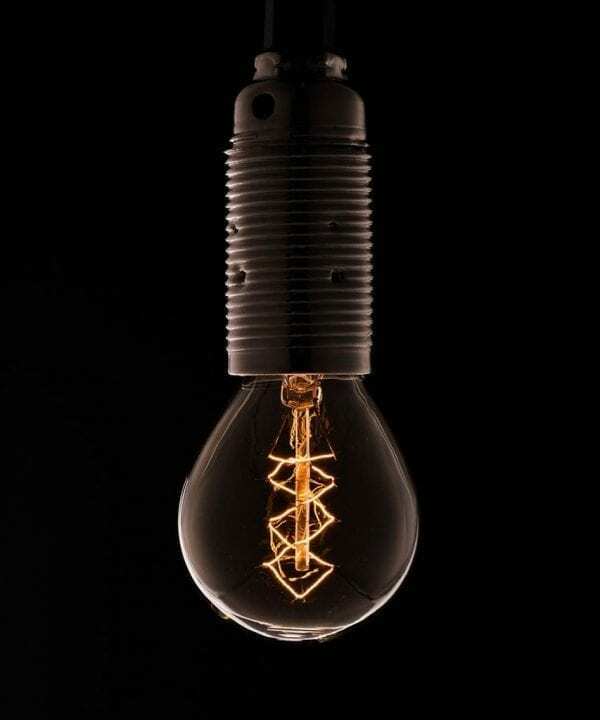 Each of our bulkhead lights is made from solid brass and feature a caged design to protect the delicate light bulbs inside from water damage. 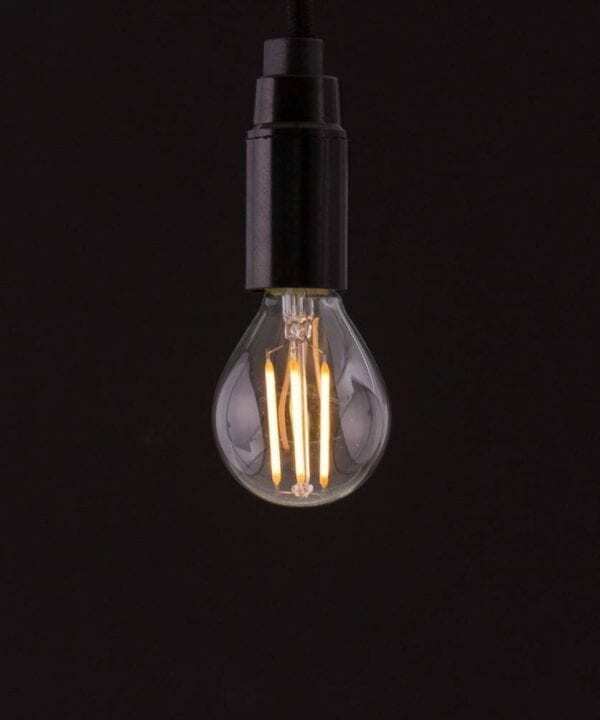 These small wall lights are ideal for incorporating industrial style into more compact spaces and are the perfect choice for industrial bathroom lighting. We love this petite light when coordinated with matching Mark bulkheads in a row to create a simple yet striking porthole-like effect down a hallway. Bulkhead lights are available in a range of ratings, which stipulate whether they can be used indoors, outdoors or both. 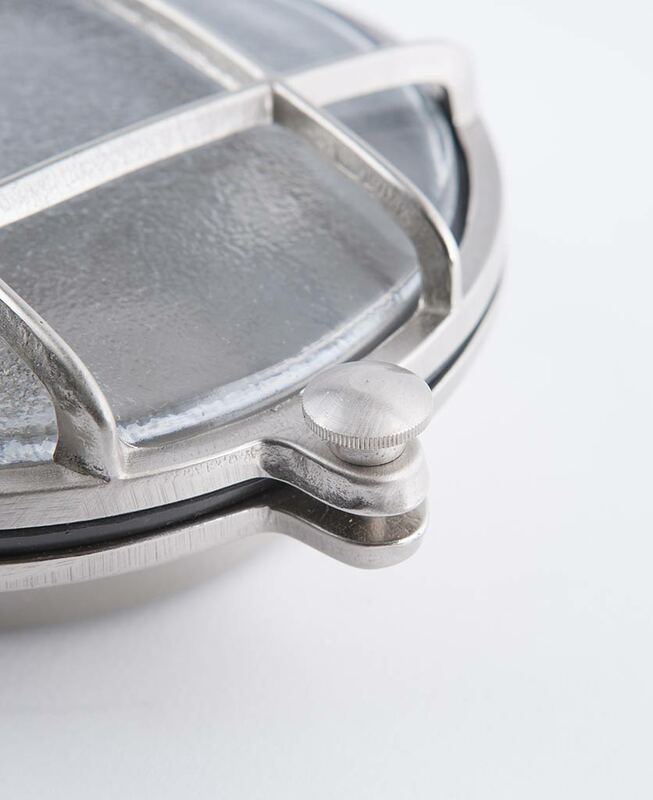 Our Mark bulkhead light has an IP64 rating, meaning that he can be used for both. This high-quality light really is a solid and stylish investment piece that will stand the test of time.